In the spirit of under-promising and over-delivering, my recent article of the 4th June forecast the A350 to be airborne within a month. So it is EXCELLENT NEWS TODAY that Airbus confirmed that the A350 XWB first flight is planned for this Friday, 14th June. Conditions permitting, the A350 XWB “MSN1” will take off from Toulouse-Blagnac airport at around 10:00 am local time. The A350 XWB flight test teams are now carrying out the last ground and taxi checks on the A350 XWB “MSN1” before they give their final green light for the first flight to take place this Friday. I, and I am sure the rest of the aviation industry extend our best wishes to Airbus, Rolls-Royce, Peter Chandler (Chief Test Pilot) and the “first flight” crew for their first flight. I am on holidays and will be attending (with half a million other enthusiasts) the Paris Air Show next week. Wouldn’t it be fabulous if the A350 could grace the crowd with a fly past! The A350 XWB is the all-new mid-size long range product line comprising three versions and seating between 270 and 350 passengers in typical three-class layouts. Scheduled for entry-into-service in second half of 2014, the A350 XWB has already won 613 firm orders from 33 customers worldwide. The Airbus A350 will probably take flight within the next month. The A350 is a remarkable aluminium-composite aircraft with the latest evolutionary and leading edge avionics, flight controls, ergonomics, Rolls-Royce engines and passenger comfort. The mighty Rolls-Royce XWB engines (18,000 parts, 4,000 airfoils, bladed disk (blisk) HP compressor) have already been tested on board a specially modified Airbus A380. 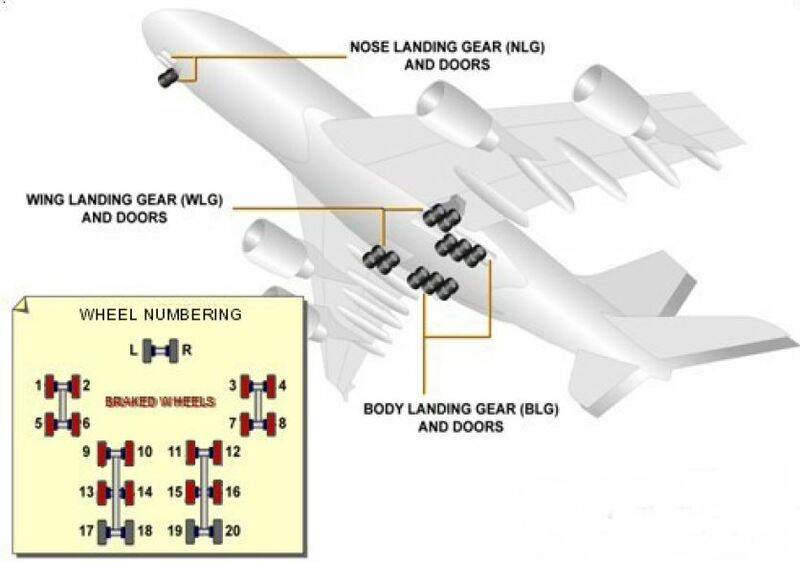 These 84,000 pound thrust engines (the A380’s Trent 900 nominally produce up to 72,000 lbs thrust) were started on the first A350 airframe Manufacturers Serial Number 1 (MSN001) just two days ago. We’d all love to see the A350 aircraft airborne as soon as possible, but the interests of the eager bird-watchers must cede to the requirements of the Airbus Test Pilots and Engineers who now have to execute a rigorous, methodical and sequential test regime to test many basic systems before the aircraft can first take to the sky. Airbus are being relatively quiet and modest about the A350’s first flight, which is understandable because the conservative company exudes a safety-first culture that pervades every corner of their organisation. Enthusiasts around the world will be keen to view the first and historic flight. Just as Neil Armstrong, Buzz Aldrin and Michael Collins were supported by 400,000 technicians on Earth for their Apollo 11 launch in 1969, so the A350 team will be wished well by over 100,000 technicians and scientists from Airbus and their partners around the world who have worked on the A350 project for almost a decade. The Apollo 11 mission marked the first operational use of digital fly-by-wire (FBW) flight controls in aerospace. That same year Aerospatiale’s (Airbus’ ancestor) Concord was the first FBW passenger aircraft to take flight on Earth. Forty four years later, the A350 continues to evolve Airbus’s FBW technologies to achieve even greater safety and savings. I’d love to be in Toulouse to mark the remarkable event when the A350 first takes flight. I have many Airbus friends in the A350 project. 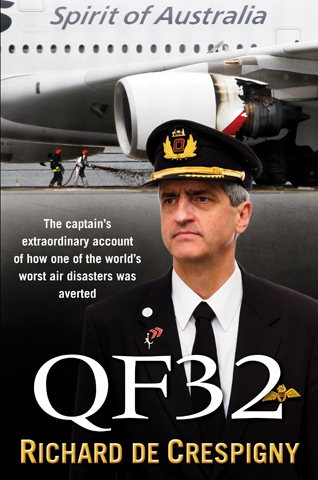 Pascal Verneau (Project Test Flight Engineer) is a close friend – his photo also appears in my book “QF32”. The test pilots and engineers in the photo below, and the thousands of workers “behind the lines” have all worked tirelessly to bring yet another marvel to the skies that will enable travel to not just ourselves, but that will also carry our children of two more generations that have not even been born yet! To the Airbus family of 70,000 employees: best wishes from millions of aviation enthusiasts from every corner of the globe. Congratulations, safe testing, safe flights, and take your time. Just like Apollo 13, the (social-media) world is watching you, and very proud of you! along and flung my eager craft through footless halls of air. Thank you very much for your article about the A350’s first flight and allowing us to share in the story of this new plane. I watched the first (Singapore Airlines) A380 (from Singapore) land at Sydney airport. Very special. Mandy, we both share authentic passion, love and respect for aviation. These core values and beliefs motivate and inspire us (and hopefully those around us) to excel and succeed. A very very Hearty wish for the first flight of Airbus A350. During the dark days of the Battle of Britain, hundreds of Americans crossed the border into Canada to enlist with the Royal Canadian Air Force. Knowingly breaking the law, but with the tacit approval of the then still officially neutral United States Government, they volunteered to fight Hitler’s Germany. Flying fighter sweeps over France and air defence over England against the German Luftwaffe, he rose to the rank of Pilot Officer. At the time, German bombers were crossing the English Channel with great regularity to attack Britain’s cities and factories. Although the dark days of the Battle of Britain were over, the Luftwaffe was still on the job of keeping up the pressure on British industry and the country. 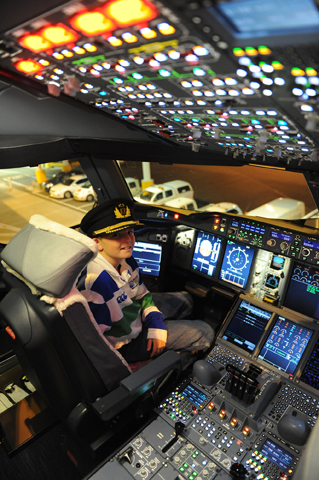 Once back on the ground, he wrote a letter to his parents. In it he commented, “I am enclosing a verse I wrote the other day. It started at 30,000 feet, and was finished soon after I landed.” On the back of the letter, he jotted down his poem, ‘High Flight’. Just three months later, on December 11, 1941 (and only three days after the US entered the war), Pilot Officer John Gillespie Magee, Jr., was killed. The Spitfire V he was flying, VZ-H, collided with an Oxford Trainer from Cranwell Airfield while over Tangmere, England. The two planes were flying in the clouds and neither saw the other. He was just 19 years old. He is buried in the churchyard cemetery at Scopwick, Lincolnshire.